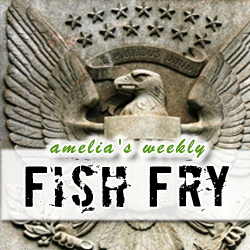 This week I chat with EE Journal Editor-in-Chief and resident FPGA expert Kevin Morris in a special FPGA State of the Union Fish Fry. Kevin talks with me about where he sees FPGAs headed in 2012, what to expect from market leaders Xilinx and Altera, how Lattice Semicondutor’s acquisition of SiliconBlue will affect the landscape, and where smaller start-ups Tabula and Achronix fit into that mix. I am also offering up a 25 dollar amazon.com gift certificate, but you’ll have to tune in to find out how to win.